April 26th will see dark rock veterans, artist collective SABBATH ASSEMBLY, release their seventh studio album, the hotly anticipated A Letter Of Red. The band’s follow-up to the 2017’s Rites of Passage was recorded at Figure 8 Studio in Brooklyn with Producer Randall Dunn (Black Mountain, SunnO))), Earth). The new album marks a return to the shortened song form and tight production of their debut, while demonstrating ten years of songwriting prowess and lyrical advancement. The music and lyrics on A Letter of Red tell eight haunting stories, and owe more to the galloping hard rock of the 70’s: Guitarists Kevin Hufnagel (Gorguts) and Ron Varod (Kayo Dot) reference Heart and Judas Priest on the album’s hard rockers, while acoustic moments bring to mind Current 93 and Jethro Tull. Vocalist Jamie Myers (ex-Hammers of Misfortune and Wolves in the Throne Room) performs with the stripped down clarity of Peter Murphy and Siouxsie in the 80’s, bringing a true Gothic tinge to the metal riffs for a totally unique combination! For Sabbath Assembly, who are ten-year veterans in the “occult rock” scene, “A Welcome Below” is an opportunity to hang up the sword they typically use to battle the tyranny of religion as a social and political weapon – a common theme of the band – and address a more personal issue: the battle of a parent to save his child from an inner demon of sorts, and a clever plot by the US pharmaceutical companies and addiction treatment centers to keep people sick. While an unusual statement for a rock band, the plague of addiction spares no one. And in a genre known for romanticizing and demystifying death, the story of “A Welcome Below” brings home the reality of what it feels like to actually confront the death of a child. Watch “A Welcome Below”, just exclusively premiered with Popmatters, now and in full HERE! 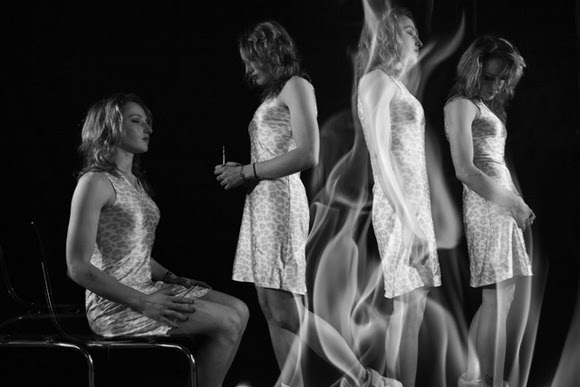 The intention of the video is to tell her tale and thereby connect with others suffering from similar symptoms in order to provide a path over the bridge of addiction to embodiment, connection, and community. Sadly, psychedelic treatments are still illegal in the US despite the growing problem of opiate addiction in this country and the inability of current recovery programs to hold it at bay. Marika and her father David from Sabbath Assembly would like to refer interested parties to www.maps.org and Michael Pollan’s book How to Change Your Mind for further information about these types of treatments and how they help addiction. A Letter Of Red coming out April 26th in CD, LP and Digital formats on Svart Records, the album pre-order is available at THIS LOCATION! RELEASE BRAND NEWSabbath AssemblySPECIAL MUSIC VIDEO! DEAD LETTER CIRCUS Release Brand New, Self-Titled Album Today!